Kelia Furr is the President of PHECA. She is originally from Forest City, NC. She attended UNC Charlotte for undergrad and Queens University of Charlotte for grad school. She formerly worked in Higher Education Administration at Queens University, Harvard, and Samford. Kelia is married to husband, Will, and mom to Colton (4) and McClain (2). In her free time, Kelia enjoys exercising (currently hooked on Orange Theory), traveling to visit family, looking at decor blogs and magazines, and baking. Beth Boyd is the President-Elect and New Member Liaison for PHECA. She grew up in a small suburb of St. Louis and attended Texas Christian University for undergrad and Southern Methodist University for grad school. She is a former elementary school teacher, reading specialist, current SAHM extraordinary, and toddler chauffeur. 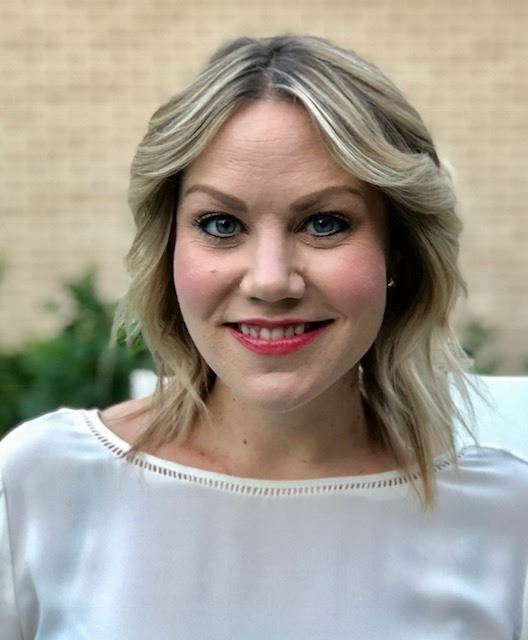 She is involved with Junior League and currently serves on their Women Lead committee, as well as Community Partners of Dallas, Children’s Medical Center, and Genesis Women’s Shelter. She is married to husband, Adam, and mom to Arabelle (3) and Lyndon (18 months). In her free time, Beth loves to cook, read, write, scrapbook, do yoga, but since having kids, participates in none of the those activities! Chelsea Bailey is Programs Co-Chairman for PHECA. She is originally from Idabel, Oklahoma and attended the University of Oklahoma. She loves working as a Registered Nurse and is involved with the Birthday Party Project, Genesis Women’s Shelter, ChildCare Group, and the Dallas Arboretum. She is married to husband, Parker, and mom to Brooks (5) and Banks (3). In her free time, Chelsea enjoys working out, trying new restaurants, traveling, and anything outdoors with her high energy boys! Hollie Landis is Programs Co-Chairman for PHECA. She is originally from Colleyville, TX and attended the University of Alabama. She is currently a stay-at-home mom and is a former Account Manager at KidKraft. She is married to husband, David, and mom to boys Andrew (4.5) and Connor (16 months). In her free time, Hollie enjoys reading, going to the beach, and spending time with family. Brittany Bandy is on the Programs committee for PHECA. She is originally from Wichita Falls, TX and attended Southern Methodist University. Brittany works as a stylist for J.Hilburn Men’s Custom Clothier. She is married to husband, Mike, and mom to Wells (5), Whitley (3), and Wagner (8 months). Brittany used to sing professionally, and in her free time, she still enjoys doing that but mainly enjoys playing with her kiddos. Ashley Mayya is the Communications/Website Chairman for PHECA. Ashley grew up in Baton Rouge, LA and attended the University of Nevada, Las Vegas for undergrad and then Western Michigan University Cooley Law School. She owns her solo law practice, Ashley Mayya Law. Ashley is married to husband, Shay, and mom to Sawyer (3) and baby girl, due in November. In her free time, Ashley enjoys working out at Equinox, cooking, hanging out with friends, and trying new restaurants in Dallas. Christina Marshall is the Membership and Recruitment Chairman for PHECA. She is originally from Pittsburgh, PA and attended the Miami University - Ohio. Christina recently left her position as Director of Marketing at Equinox to stay at home with her twins. She is married to husband, JW, and mom to twins Blair and James (11 months). In her free time, Christina enjoys yoga, tennis, cooking, playing with their 3 dogs, and is an avid Pittsburgh sports fan! Jill Lugash is the Childrens’ Activities Chairman for PHECA. She is originally from a small town in Arkansas and attended Southern Methodist University. She is currently taking a break from a career in finance to stay home with her son. She is married to husband, Blake, and mom to Cooper (3). In her free time, Jill enjoys working in the yard and wasting her brain cells watching BRAVO reality tv. Ardy Davey is the Children’s Parties Chairman for PHECA. She is originally from Dallas and attended Stephens College, in Columbia, Missouri. Ardy is a former buyer at Stanley Korshak. She is married to husband, Darren, and mom to Charlie (4) and Claire (1). In her free time, Ardy enjoys snow skiing and spending her summers at the lake. Dori Araiza is on the Children’s Parties committee for PHECA. She is originally from Dallas and attended Southern Methodist University. Dori recently left her job in advertising to spend more time with her kids. She serves on the Ursuline Alumnae Board and St. Anne’s Board at Christ the King. She is married to husband, Jesus, and mom to Alexander (5), Mila (2), and expecting baby #3 in November. Leigh Friend is on the Childrens’ Parties committee for PHECA. She is originally from Dallas, TX and attended Furman University in Greenville, SC. Leigh works part-time at Stanley Korshak as an Epicure Buyer and in the PR/Marketing office. She also serves on the Episcopal School of Dallas Alumni Board and is a member of the Cattle Barons. Leigh is married to husband, Ryan, and mom to Mason (5) and Luke (2). In her free time, she enjoys health and fitness, specifically, running and pilates, playing outside with the kids, traveling, and spending time with family. Whitney Harmon is the Arrangements Chairman and serves on the Couples’ Events committee for PHECA. She is originally from Shreveport, LA and attended Louisiana Tech - School of Architecture. She loves working as an interior designer and has formerly sat on the Board for her daughter’s school and volunteered for underprivileged families at Providence House. Whitney is married to husband, Jon, and mom to Vivian (4) and Amie (2). In her free time, she enjoys running and working out for her physical and mental well being. She also loves cooking, entertaining, Girls Nights Outs, and spending time with friends. Sue McKamy is the Hospitality Chairman of PHECA. She is originally from Lake Jackson, Texas and attended Baylor University. Sue works as Senior Manager of Change Management for PepsiCo, in the Frito-Lay Division and is involved with St. Monica School and Good Shepard PDO. Sue is married to husband, Matt, and mom to Evan (5) and Marilyn (2). In her free time, she enjoys traveling, tennis, and volunteering. Dana Rumbauskas is the Treasurer of PHECA. Dana is originally from Westchester, NY and attended Sacred Heart University. She is currently working as an Operations Analyst and is involved in Lamplighter Parent’s Association. Dana is married to husband, Frank, and mom to Agnes (7) and Maeve (4.5) In her free time, Dana attempts to replicate Pinterest ideas. Ellis Thomas is the Couples’ Events chairman as well as the Newsletter chairman of PHECA. She is originally from Lookout Mountain, TN and attended Auburn University. Go Tigers! Ellis served as President of PHECA last year and is currently involved with the Meadowbrook School, as Social Chairman, Junior League, and West Dallas Community School. Ellis is married to husband, Steven, and mom to Brown (4) and Wells (2). In her free time, she enjoys playing tennis and spending time together as a family in Colorado and at their ranch in East Texas. Marla Anderson is the Couples’ Events committee for PHECA. Marla recently moved to Dallas from St. Louis and is originally from Chicago, IL. She attended the University of Central Missouri, majoring in PR and minor in Art. Marla worked in marketing communications and events in the beauty/fashion industry for many years. After having twin boys, she put that on hold and currently works part time for her family business in commercial real estate. She is married to husband, Clint, and mom to Sophia (3) and twin boys Luke and Grant (9 months). In her free time, Marla enjoys hanging out with family and friends, traveling, walks around the neighborhood, and mom-life staples: coffee and wine! Kristin Bell is the Mom’s Night Out and Social Chairman for PHECA. She is originally from Memphis, TN and attended the University of Memphis. Prior to becoming a mom, Kristin worked in multifamily property management as a Manager of Revenue Systems for the largest property management company in the nation. She is mom to son Even (3), a Memphis Tiger and Grizzlies basketball fan, and enjoys reading, yoga, cooking, traveling, and live music/concerts. 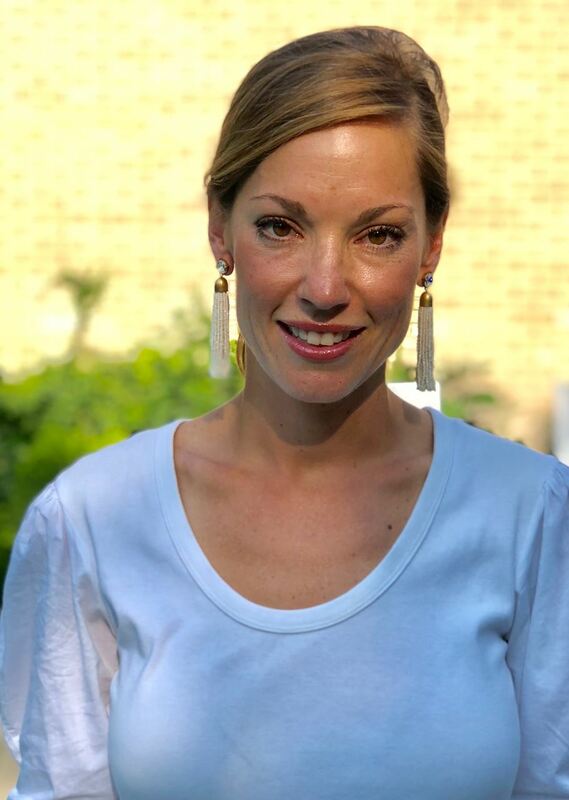 Liza Schlitt is the Publicity Chairman of PHECA. She is originally from Ormond Beach, FL and attended the University of Florida. She currently works as an interior design blogger - houseofenvy.squarespace.com/blog. Liza is married to husband, Ryan, and mom to 3 boys, Riley (7), Griffin (5), and Hayes (18 months). In her free time, she enjoys interior design, tennis, yoga, and chasing around her 3 little boys. Camila Orive is the Advertising Chairman for PHECA. She is originally from Bogota, Columbia and attended Universidad de los Andes in Bogota, Columbia for law school and IE Business School in Madrid, Spain for her MBA. She is the former Head of Admissions and Director on Business Development for IE Business School. She is involved with the Tuberous Sclerosis Alliance and Young President’s Organization (YPO). Camila is married to husband, Adolfo, and mom to Emma (3). In her free time, Camila enjoys traveling, eating, and spending time with family. Heather Cole is the Playgroups Chairman for PHECA. She is originally from Coppell, TX and attended Southern Methodist University. She owns and operates four surgical practices with her husband - Surgical Specialists of North Texas. Heather is an active member of Watermark Church and she enjoys volunteering with the Dallas Zoo, the Dallas Children's Advocacy Center, and the Perot Museum through Junior League of Dallas. She is involved with Mothers of Preschoolers (MOPS) and acts as their Hospitality Chair. Heather is married to husband, Tim, and mom to daughters Ashlyn (3) and Annabelle (1). In her free time, she enjoys exploring the Dallas dining scene and her guilty pleasures of watching the Bachelorette while eating Nothing Bundt Cakes. We are always looking for volunteers to help on committees! If you are joining either of these committees or other board position, please send an email to: phecamoms@gmail.com with the subject line of position you are interested in joining.